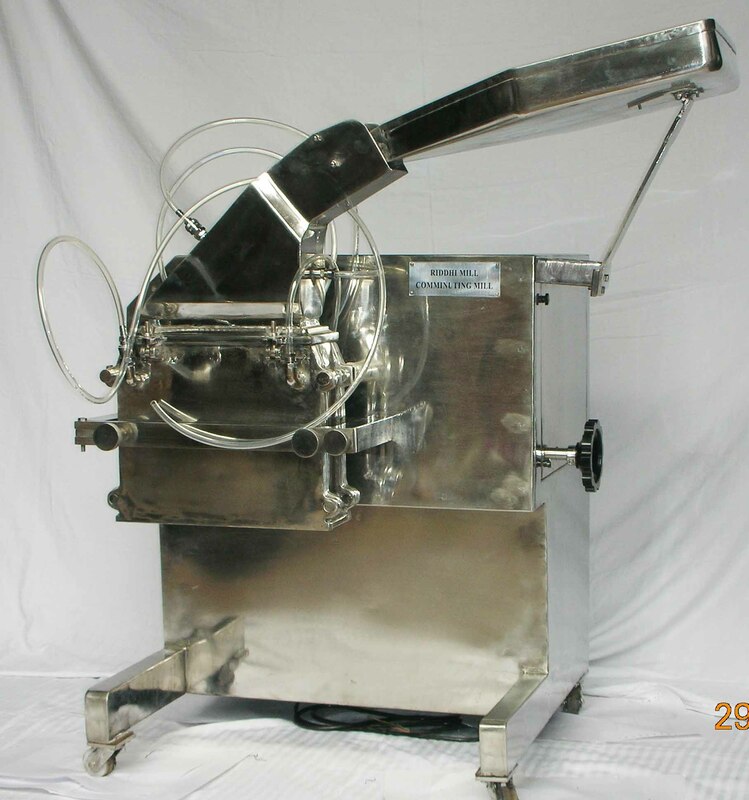 pulverization or dispersion of products oringredients found in the pharmaceautical, Chemical and foodindustries.It is also finds application in Cosmetics,confectionery, Fertilizers, Insecticides, detergents andElectroflux Industries etc. model and Versatile in operation & maintenance. Unit consist of S.S.304 quality hopper, feed throat andprocessing chamber (can be provided in S.S.316 quality atextra cost ) with beaters assembly , heavy duty motor, star deltastarter with overload relay, three speed step pulley, suitable screen , S.S. cladded base having tubular legs with castors, optional jacket for the feed throat and processing chamber forcooling.OPERATION :Product kept in the hopper slide down to the enclosedchamber, where it is milled in between beaters and screento the required mesh/micron size which can be collectedat the bottom of the container.Quality and output depends upon the three main variables1) Beaters shape (knife/impact forward)2)Speed and 3)Screen size.Knife edge for coarse or large particles and impact or flatedge for finer particles. 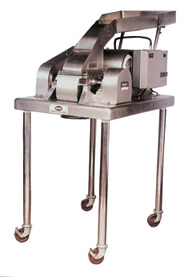 Highspeed for fine griding, low speed for coarser particles. 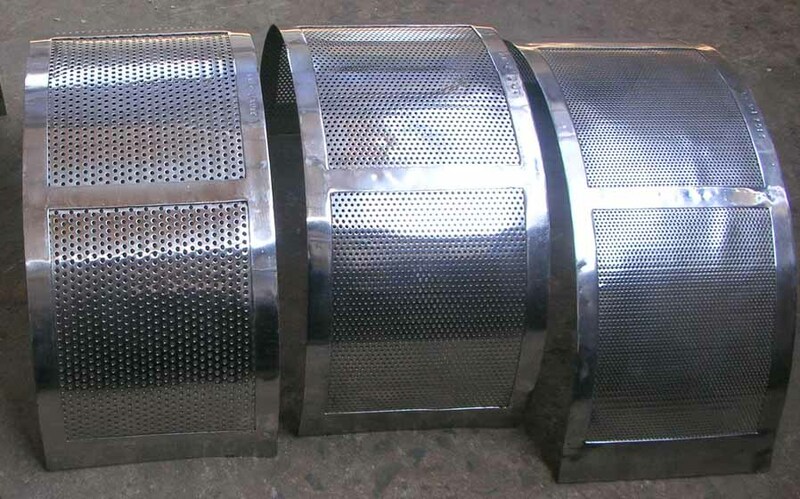 A wide range of screens is available for various process needs.